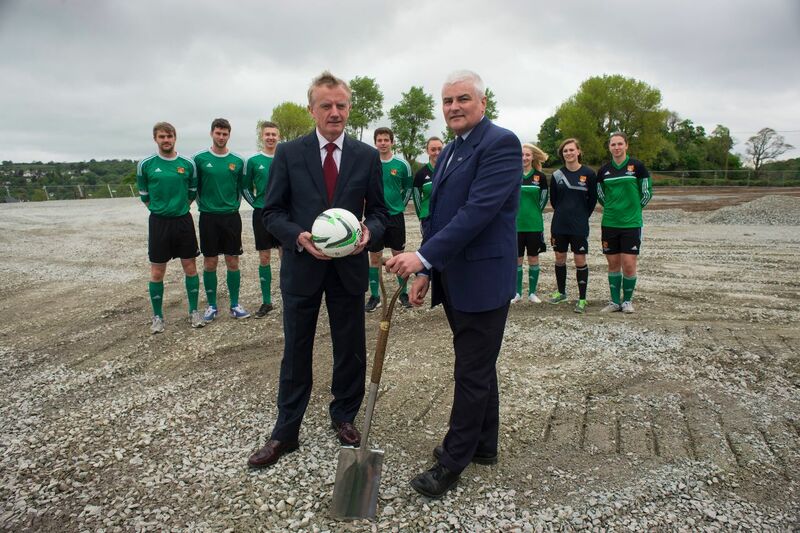 An all weather, third-generation artificial pitch will be available for the university football teams by the start of the 2014/15 season. The 3G pitch, which is currently under construction at Bangor City’s Nantporth ground, is the start of a partnership between the club and the university’s teams. It will also benefit a number of other local clubs. “With all parties working together we can now expand our junior and women’s football schemes as well as providing a training facility for a range of local clubs” said Dilwyn Jones, Bangor City’s Chairman. Having access to the facility will mean that the university teams will have another option besides Treborth where the weather often leaves the pitches difficult to play on or even means matches or training has to be cancelled. “The 3G pitch will be a great opportunity to train and play football at a high standard on a weekly basis. As both the men’s and women’s team advance to a higher league next year, there is no doubt that the pitch will be of great significance and will have a striking impact on football in Bangor” said Jemma Parfitt, the women’s team captain for next year. The team committees are currently working closely with Will Baxter at Maes Glas to make decisions on just how much access they will have to the pitch and whether it will be used for both training and matches. It is a significant investment of £150 000 from the University that has allowed the club to receive a further £350 000 from FA Wales to begin work on the pitch which is just a part of the improvements in the pipeline for Bangor City. Other plans include extending the ground’s main stand, building a supporter’s terrace and creating an education suite within the clubhouse which will allow the club to work closely with the university’s School of Sport and Health Science. Being able to form links with the university is also something that Bangor City manager, Nev Powell, is very keen on. 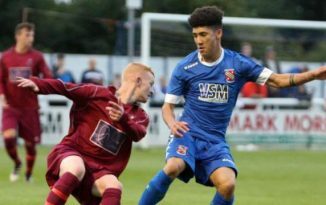 “The 3G pitch is setting up links with the university and we’re hoping to maybe get some scholarships going” he told Seren, whilst discussing Bangor City’s future and the prospects of their young players. “From my point of view as a manager there’s a lot of talented young players coming to the universities and maybe we can look at getting some of them over to us. Give them the chance to come and play for us. We do have a couple of names who are at the university and we’d like to be able to give them the chance to play” he said. How far the links between the university and Bangor City will go within the next few years are not yet certain, but current women’s captain, Dee Gilbert, is certain that the new facility is a huge step forward for the university teams. “I’ve said that football within Bangor has improved drastically over the past few years, with success for both the women’s and men’s team, and these facilities will help the success to develop as well as improve the standards of professionalism within the team” she said.